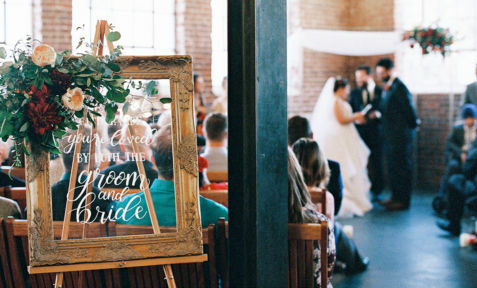 Do you remember Phoebe’s winter wedding on Friends? 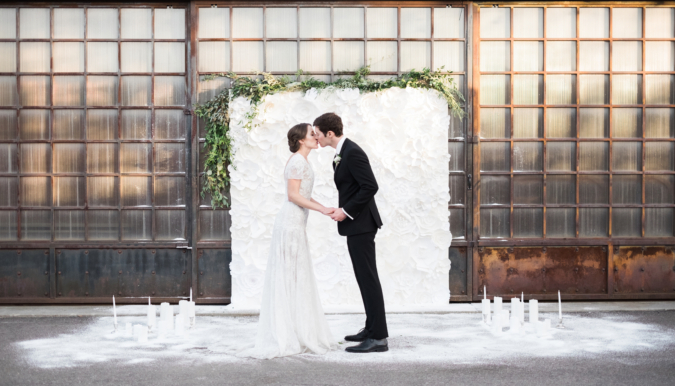 An urban New York City street magically covered in snow, transforming the scene into a romantic winter wedding wonderland. 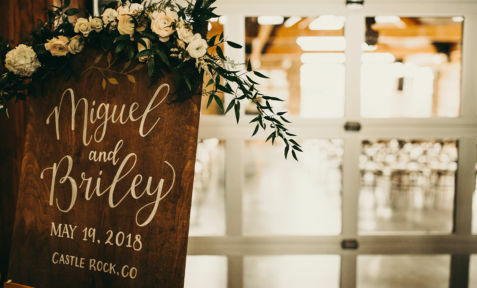 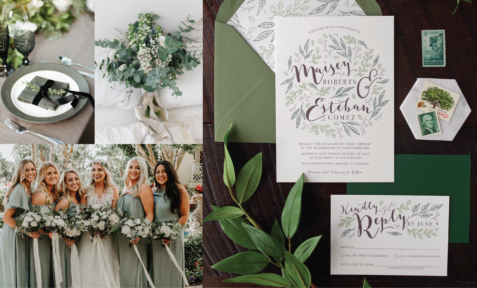 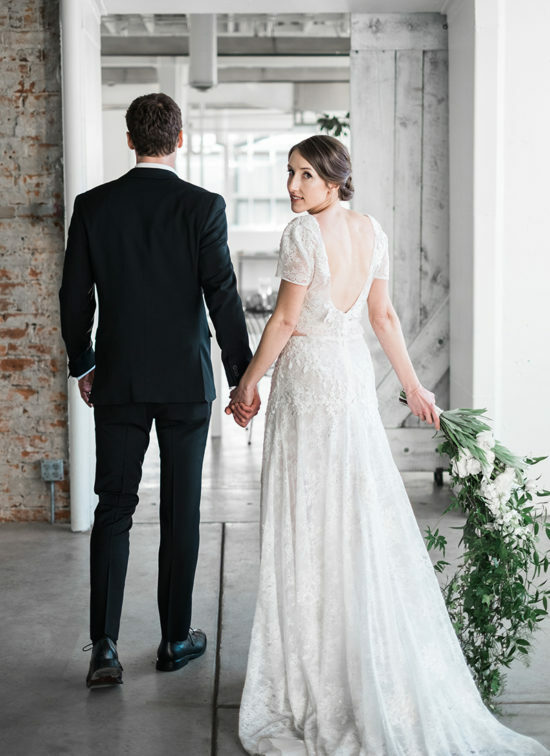 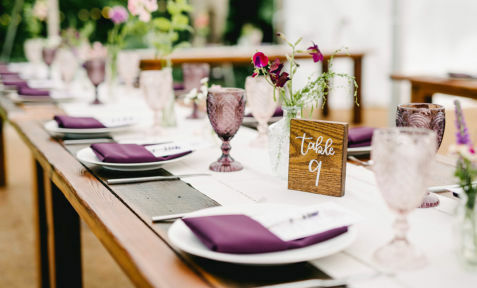 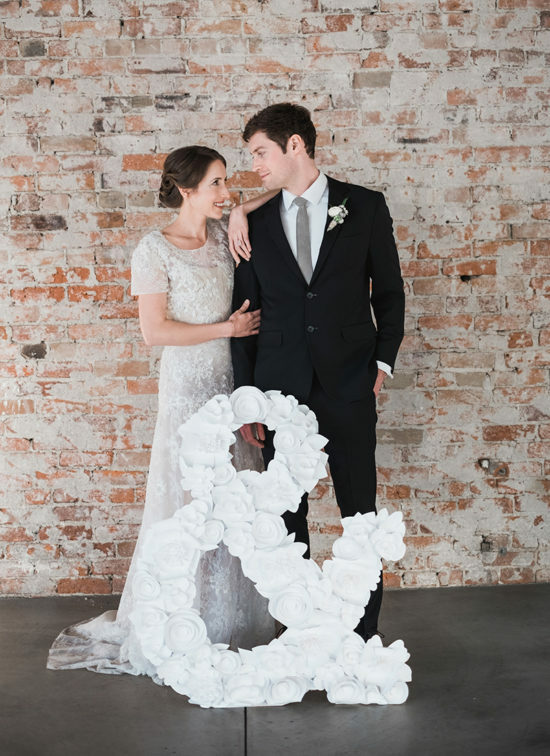 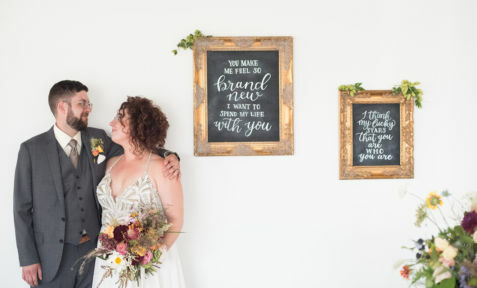 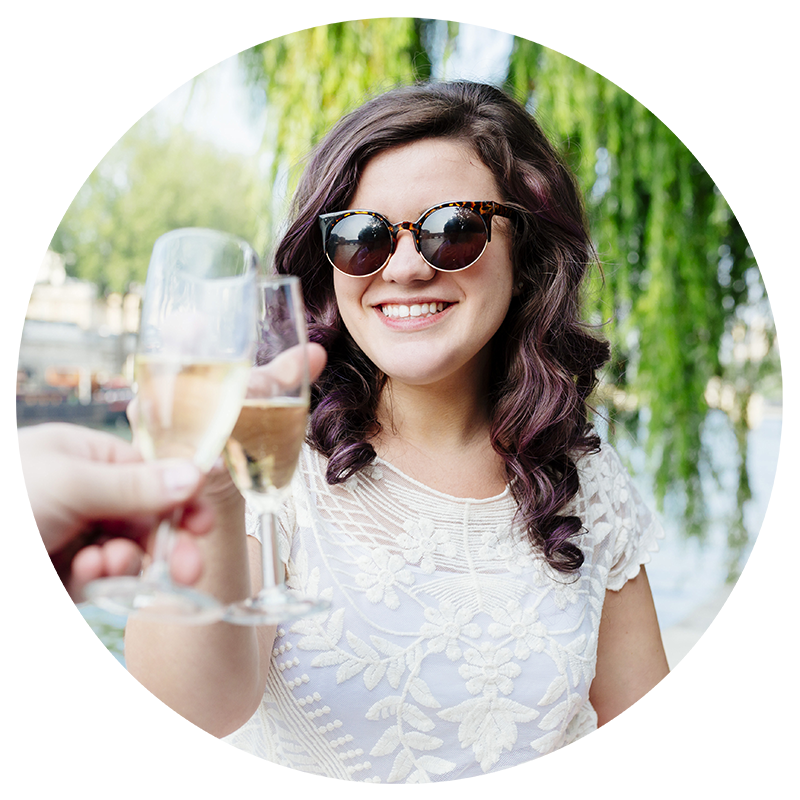 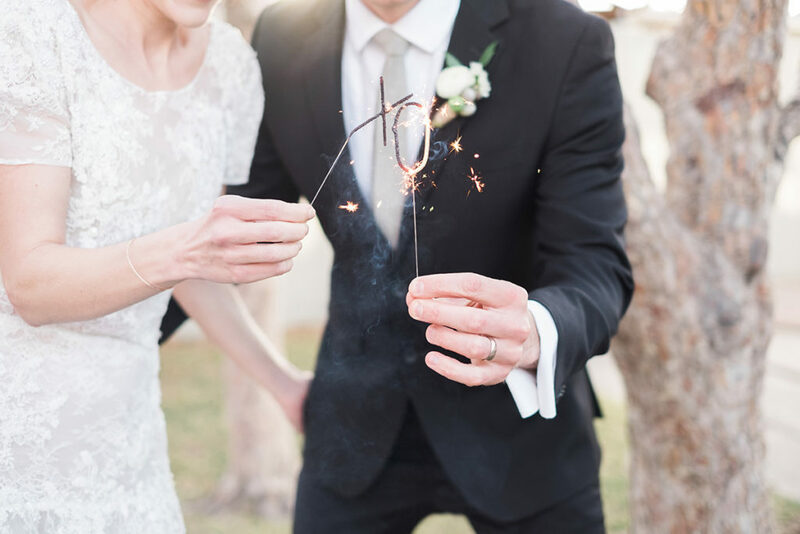 That was the warm feeling photographer Tara Bielecki & planner, Abbey with Purple Summer Events aimed to capture with this snowy winter wedding inspiration – featured in Rocky Mountain Bride Regional Volume 2 – on stands now! 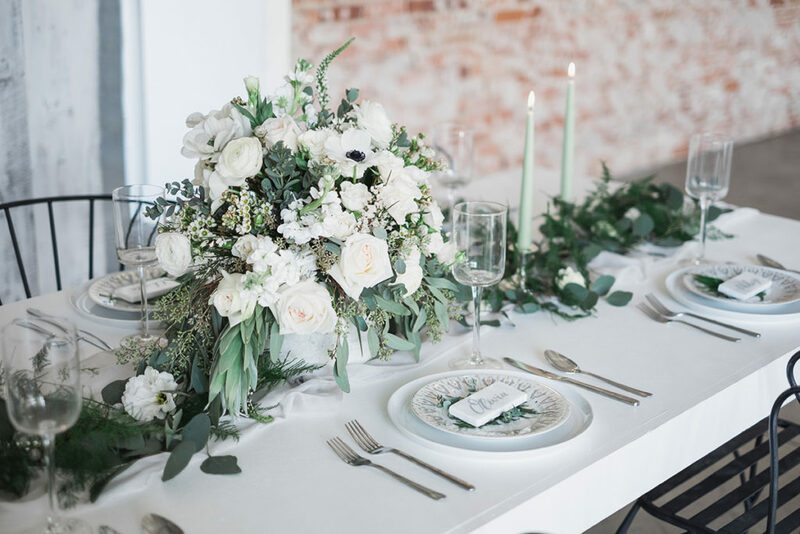 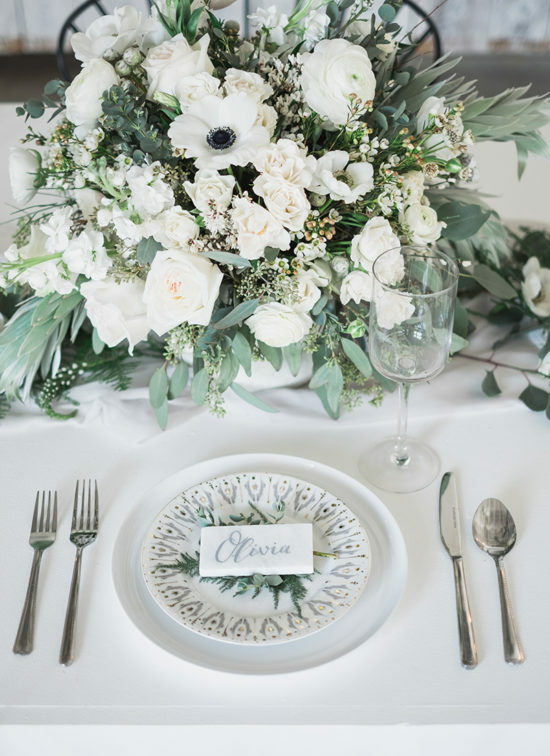 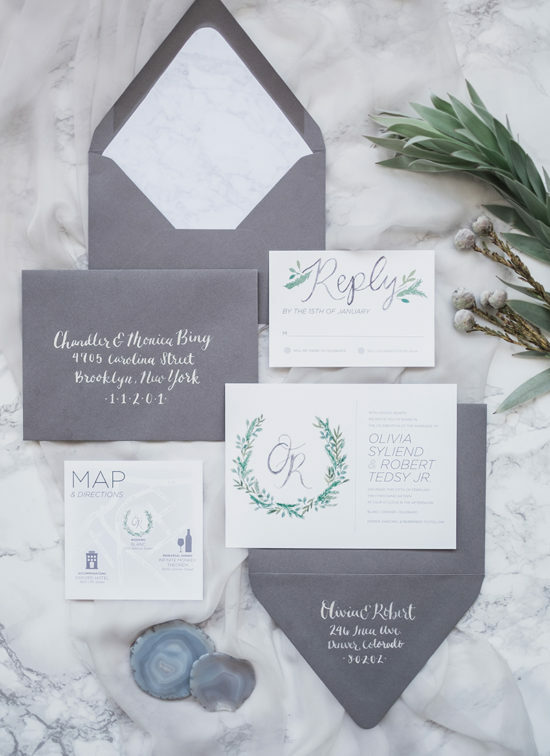 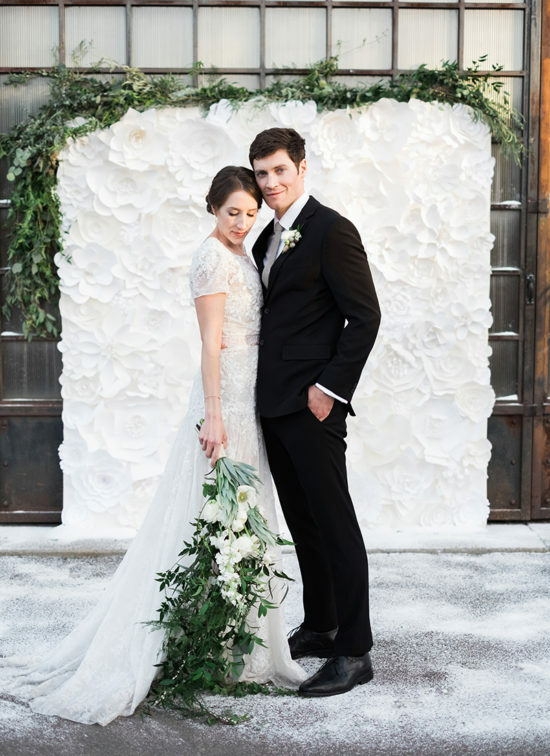 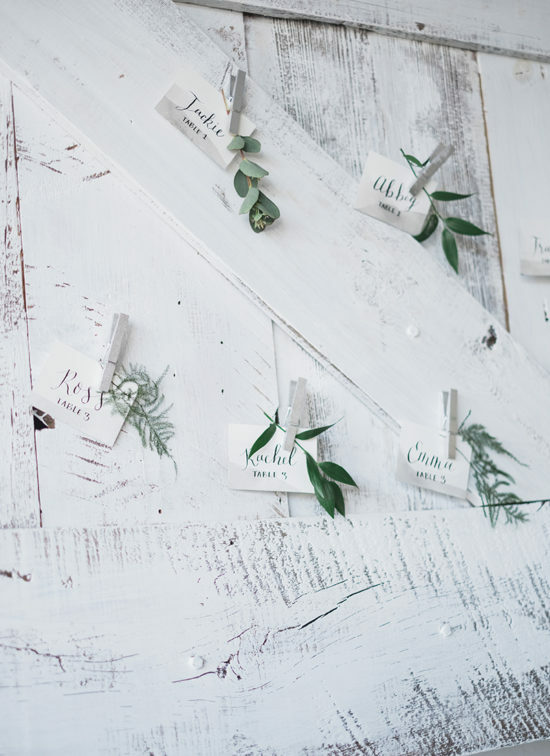 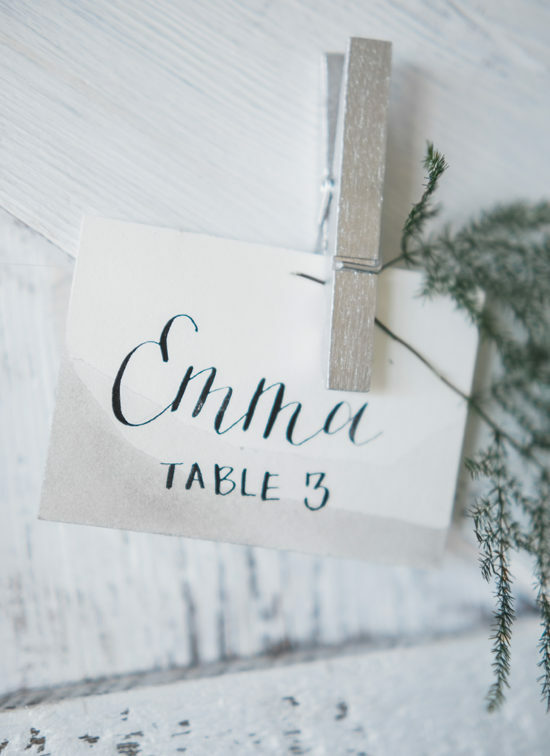 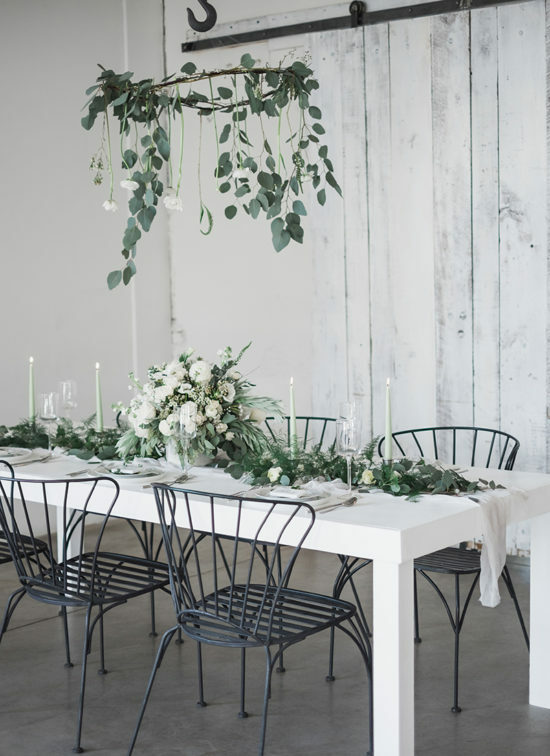 White and grey with evergreen touches create a clean and classic winter wedding vibe. 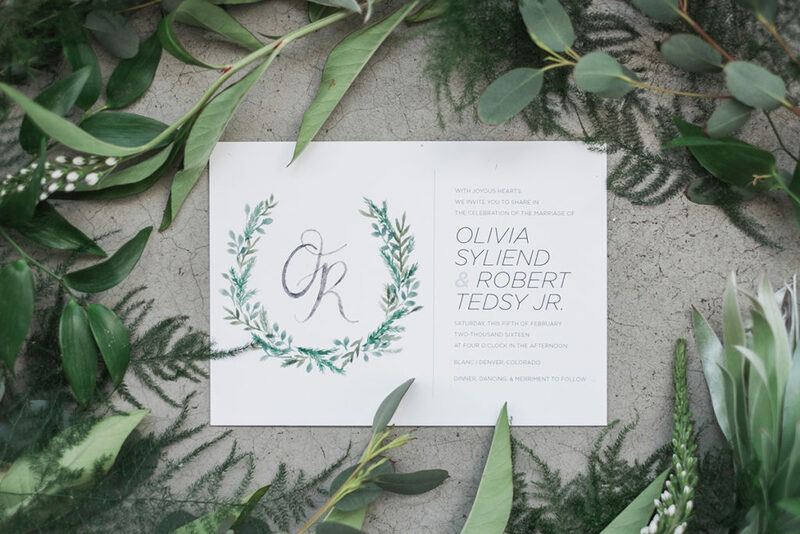 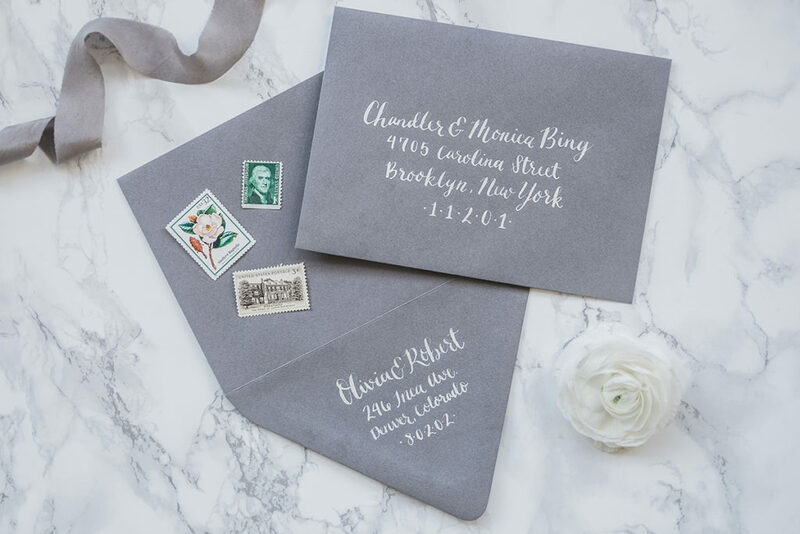 We designed a modern invitation suite to compliment the urban setting of blanc, with a delicate monogram wreath watercolor to soften it a bit. 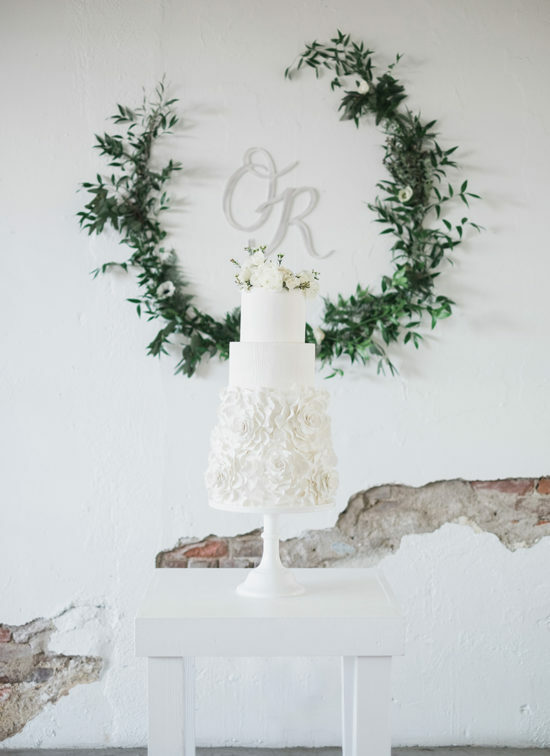 This wreath was re-created in real life by the talented Posies & Poms Floral Designs with my calligraphy monogram letters to act as a decor element behind the beautiful cake! 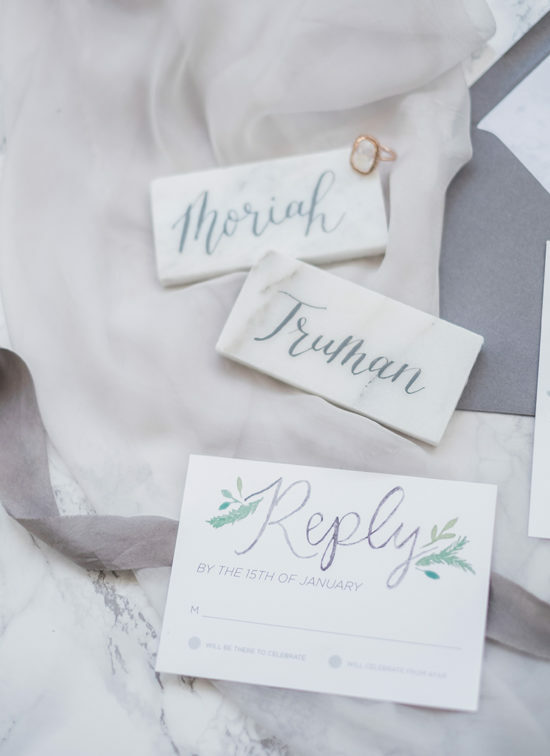 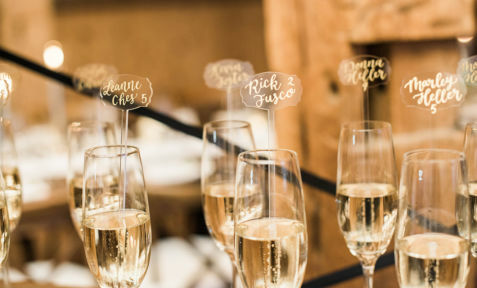 The tablescape was adorned with marble tile place cards – which we were thrilled to do calligraphy for! 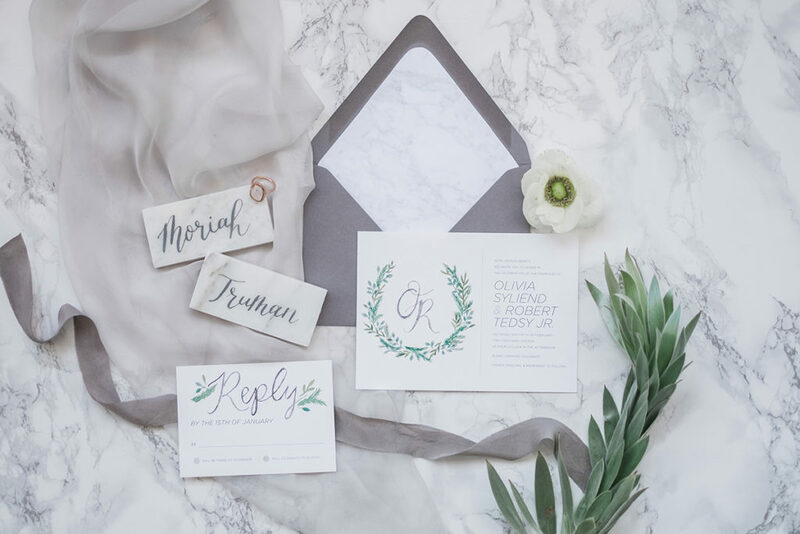 This cold marble juxtaposed with soft silk textiles creates a very clean and inviting setting. 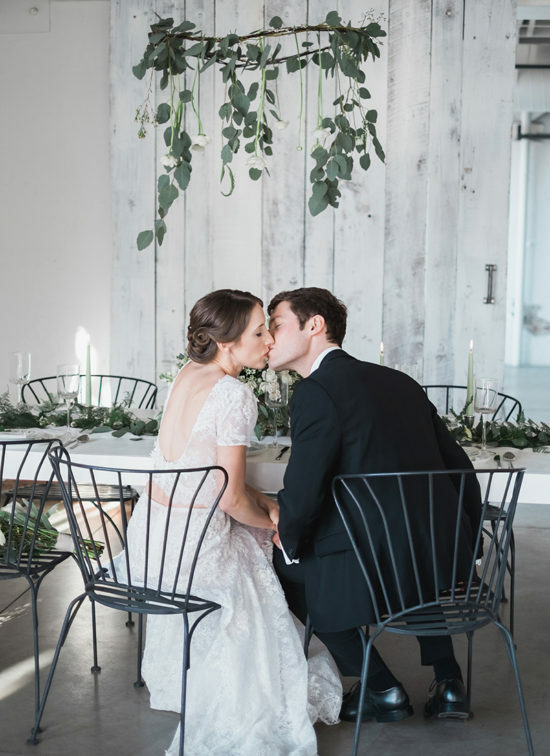 Vendor Credits // Planning & Styling: Purple Summer Events // Photography: Tara Bielecki Photography // Venue: blanc // Stationery, Calligraphy, & Paper Flower Installation: Whimsy Design Studio // Florals: Posies & Poms Floral Designs // Video: Avenir Cinema // Cake: Wildflower Cakes // Dress: Emma & Grace Bridal Studio // Hair: Brittani Estes Hair // Makeup: Beauty with Nicole // Jewelry: Sarah O. 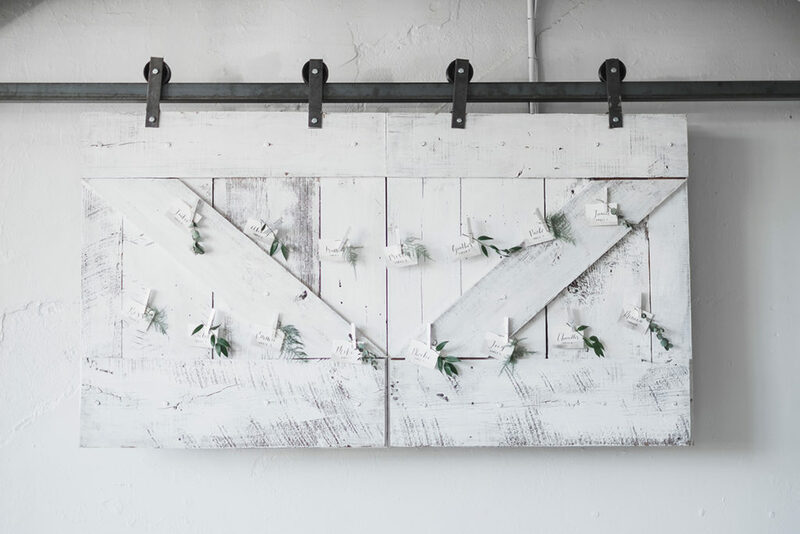 Jewelry // Rentals: By Design Event Decor // Men’s Wear Accessories: Stellar Jay Ties Co.